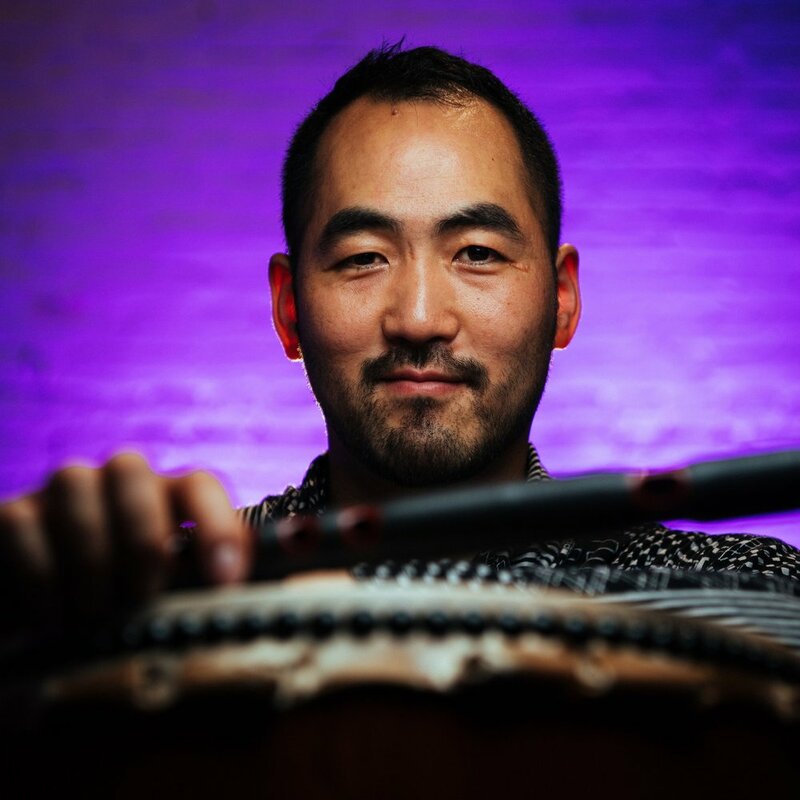 Kaoru Watanabe is a Brooklyn-based composer and musician who specializes in the Japanese shinobue flutes and taiko drums. Watanabe creates music that is at once personal, philosophical, meditative, and virtuosic, that reflects his extensive background in Japanese traditional music, American jazz, and his decades-long devotion to cross-cultural musical collaboration. Kaoru was a performer and artistic director of the internationally acclaimed Japanese taiko performing arts ensemble Kodo for close to a decade and has worked as soloist with such artists as National Living Treasure Bando Tamasaburo, jazz pianist Jason Moran, and flamenco dancer Eva Yerbabuena. In February 2018, Watanabe debuted as an orchestral soloist and composer with the Sydney Symphony at the Sydney Opera House. He is also the featured taiko drummer and a musical advisor for the recent Wes Anderson film Isle of Dogs. Watanabe has performed his compositions at such venues as Carnegie Hall, Lincoln Center, The Kennedy Center, and Kabukiza, and has performed in all 47 prefectures in Japan as well as across the North, Central and South Americas, Europe, Asia, and Australia. As a passionate educator, Watanabe has taught courses at Princeton and Wesleyan Universities and has been a faculty member at Tanglewood Music Festival. Watanabe also has a studio in Brooklyn that holds regular classes as well as hosts workshops by international master musicians and dancers. Watanabe is supported by the preeminent taiko maker Miyamoto Unosuke Shoten of Tokyo and master shinobue flute maker Ranjo of Chiba Prefecture.